NVIDIA's GeForce GTX TITAN GPU was unveiled on Tuesday though publications were not permitted to publish performance numbers from the Tesla K20X-derived card. All indications pointed to TITAN becoming the fastest single-GPU solution on the market, primed to beat down its own stablemate, GeForce GTX 680, and AMD's Radeon HD 7970 GHz Edition. Performance leadership in any segment usually goes hand in hand with premium pricing. NVIDIA is set to release TITAN next week at a whopping £830 from a select band of add-in card partners. This exorbitant pricing naturally brings other super-high-end competitors into play, including NVIDIA's very own dual-GPU GeForce GTX 690 (£750), the also-dual-GPU, partner-produced AMD Radeon HD 7990 (£750), and, going down the two-card path, a couple of Radeon HD 7970s in CrossFire. It is manifestly clear that value isn't the TITAN'S strong suit, and our performance predictions reckon it'll be beaten by premium dual-GPU configurations in a straight pixel-pushing footrace. NVIDIA would rather you think of it as a refined, quiet and multi-form-factor card - a well-engineered, comfortable Porsche up against AMD's fume-belching, growling Dodge Viper, if you forgive the tenuous car analogy. Yet fantastic aesthetics and cool, quiet operation only get you so far when, for most enthusiasts contemplating dropping £800-plus on a card, speed is the key criterion. GTX TITAN needs to handily outmuscle other premium single-GPU cards and give these dual-GPU goliaths a good run for their money. Understanding this preamble, we've tested the TITAN up against a GeForce GTX 680 and Radeon HD 7970 GHz Edition - the two fastest single-GPU cards around - on the latest drivers. We fully expect it to win most, if not all, tests. TITAN's titanic pricing demands that aforementioned dual-GPU configurations are present and accounted for. 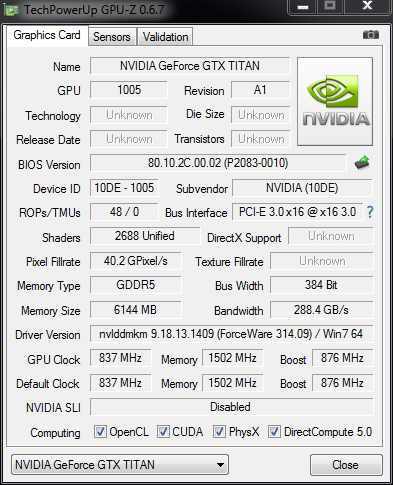 A single-card GeForce GTX 690 is the obvious performance candidate from the green team while Club3D was kind enough to provide its HD 7990 card at very short notice. The joker in the performance pack is the two-card Radeon HD 7970 CrossFire setup; it'll set you back £600 and, at the moment, just like the HD 7990, ships with the promise of six free games. Is it fair to compare a single-GPU card, TITAN, to dual-GPU beasts, you may ask. We believe so, especially as the TITAN is currently dearer than any other card/configuration in our line-up. We've tested this high-performance sextet on a 30in Dell monitor that has a native resolution of 2,560x1,600 pixels. We've also used a trio of BenQ full-HD monitors in a 5,760x1,080-pixel (3x1) arrangement, to really push the GPUs into handling six million pixels. 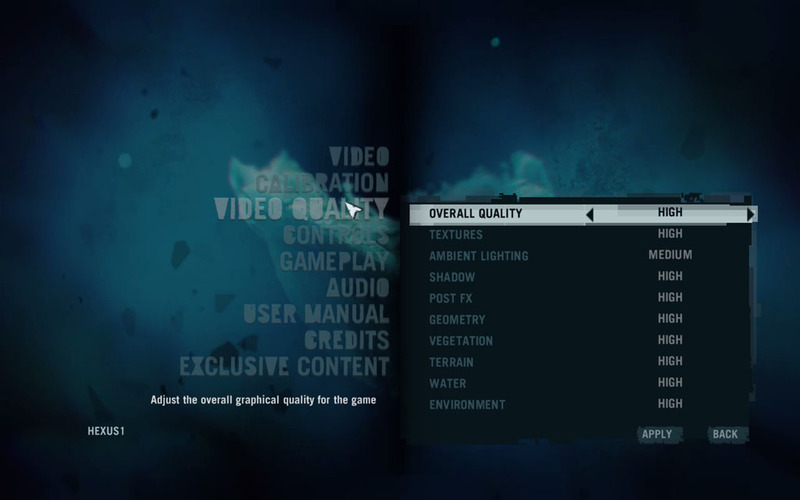 Quality levels, too, have been increased to some of the highest available in the respective games. 3DMark 11 has been replaced by the latest 3DMark (13) and, because we like the game, Sleeping Dogs has been added to the mix. We'd have loved to show you how these cards fare in Crysis 3, already released over the pond, but shall have to wait until tomorrow - the EMEA release date - to provide numbers. Boo hoo. Five single cards and the two-board HD 7970 ensure this is a proper high-end test. Do bear in mind that the GTX 690 and Radeon HD 7990 both use a twin-GPU approach, relying on internal multi-GPU processing that can, at times, be sub-optimal when compared to a single GPU present on the TITAN.